An iconic landmark in the skyline of Tokyo, the Tokyo Tower is a popular Japanese tourist attraction resembling another tower in Paris, France. The tallest self-supporting steel tower in the world, Tokyo Tower measures a whopping 333m, that’s 13m taller than the Eiffel Tower. Completed in 1958, the tower is both a major telecommunications hub and popular attraction which pays tribute to Japan’s success in rapid industrialisation and economic growth. 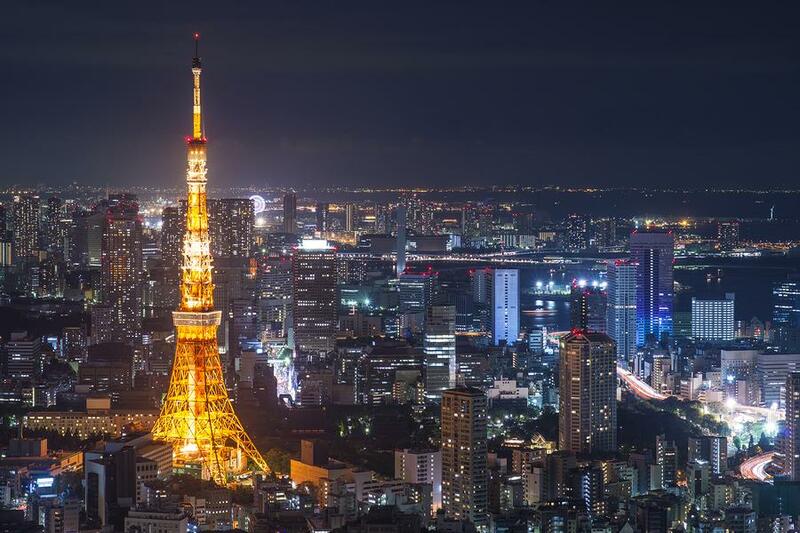 Day or night, Tokyo Tower offers unbelievable views of the city. By day, the seemingly endless city stretches out right before your eyes, all the way to the horizon, as far as the eye can see. By night, the brilliant neon lights of the city turn the outlook into a twinkling sea of lights. If you’re lucky, you might even catch the fireworks show from Tokyo Disney far below. From the soft white blanket of snow in winter to the spectacular cherry blossom season of spring, each of the four seasons offer a unique way to experience Japan’s Tokyo Tower. 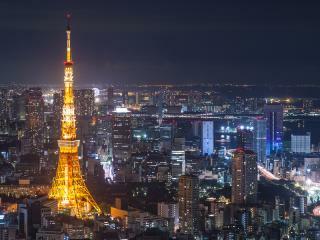 Serving as a radio and television broadcast antenna, Tokyo Tower is a defining silhouette in the city skyline and dwarfs the buildings that surround it. The gentle tapering design of the tower gracefully complements the landscape, offering lovely views from both inside and outside the tower. Located in the heart of Tokyo, the tower commands incredible views from two observation decks. Located at 150m the Main Observatory offers 360 degree views of the entire Kanto region which surrounds Tokyo. The Special Observatory situated at 250m offers magnificent panoramic views showcasing the best of the city and as far out as Mt Fuji and Mt Tsukuba. The ground floors of the tower also feature a number of shops, restaurants and smaller attractions such as a wax museum, however separate entry fees apply. There is a small entry fee to reach the Main Observatory where guests can choose to pay an additional fee to ascend to the Special Observatory, however due to its popularity wait times can be long.